Optical store Trendy Eyes operates within Singapore’s Bedok Point Mall, at 799 New Upper Changi Road. 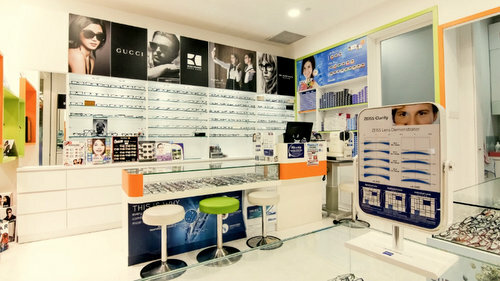 Established by Jackson Lee and Lynn Lin in 2010, Trendy Eyes is a friendly neighbourhood optical and eyewear specialist. Eyewear brands available at the shop include NIKE, adidas, Agnes b., Kate Spade New York, Burberry, COACH, Gucci, Vintage Elements, PRSR, and Porsche. The official Trendy Eyes Singapore Facebook brand page is located at www.facebook.com/sgtrendyeyes/. You can also follow the optical store’s official Instagram account, which in turn is available at www.instagram.com/sgtrendyeyes/.